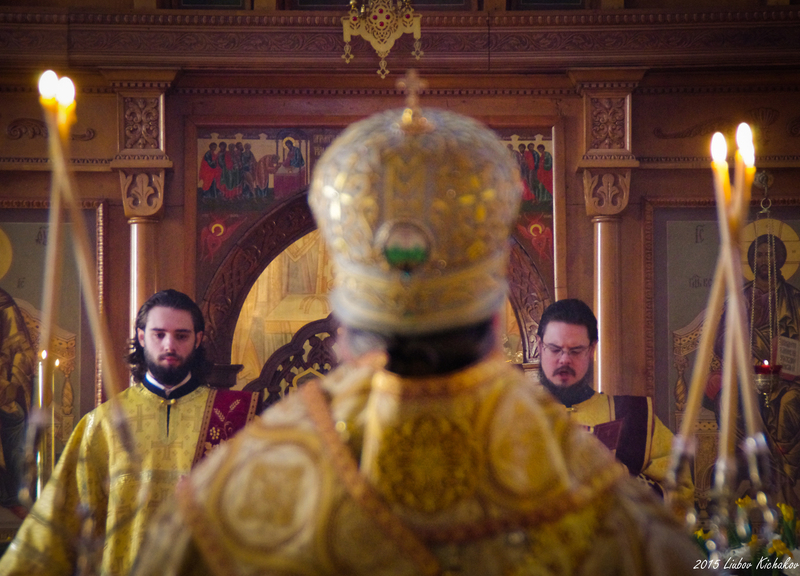 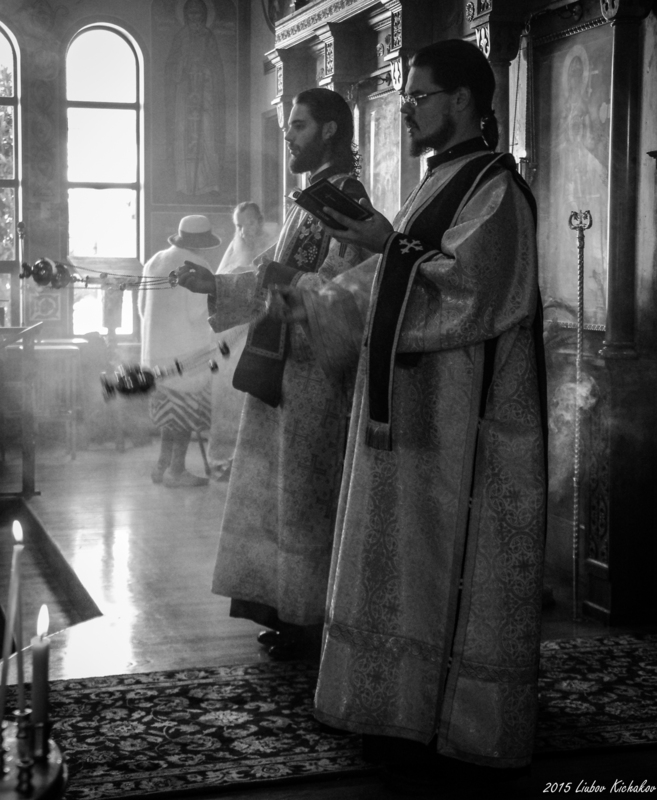 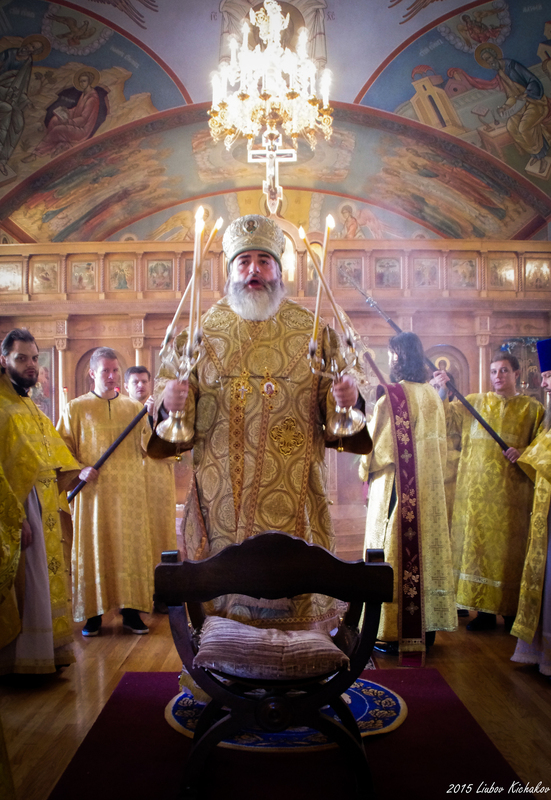 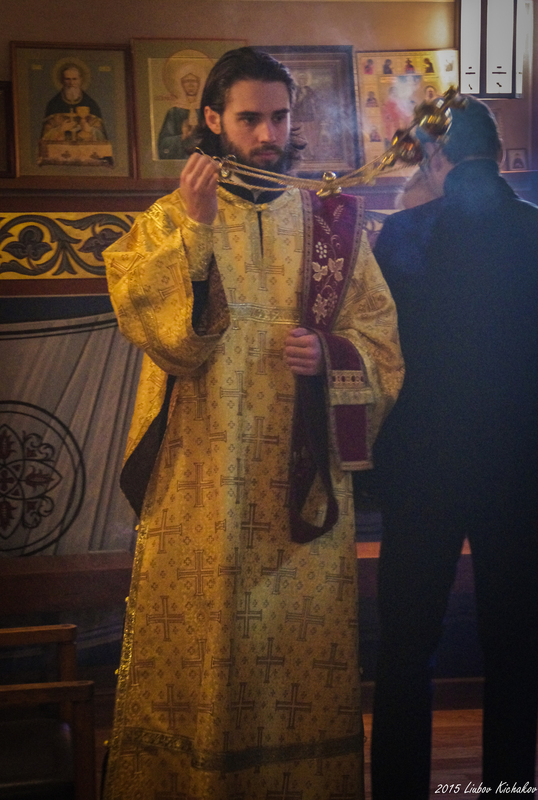 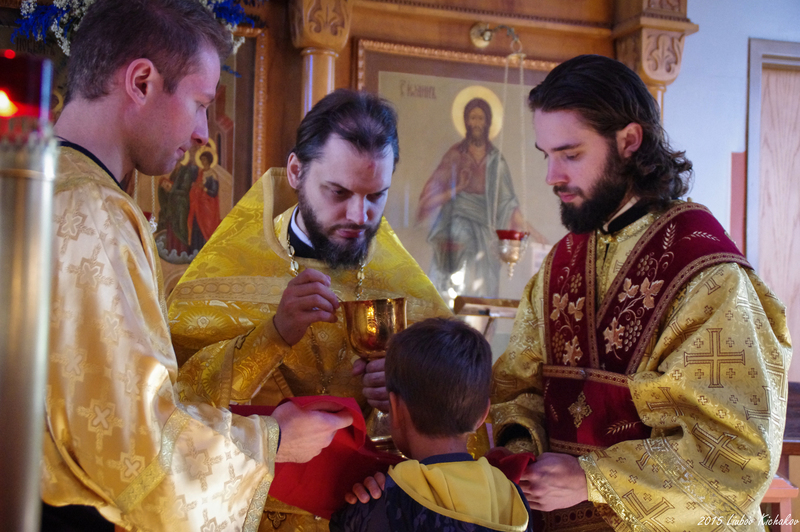 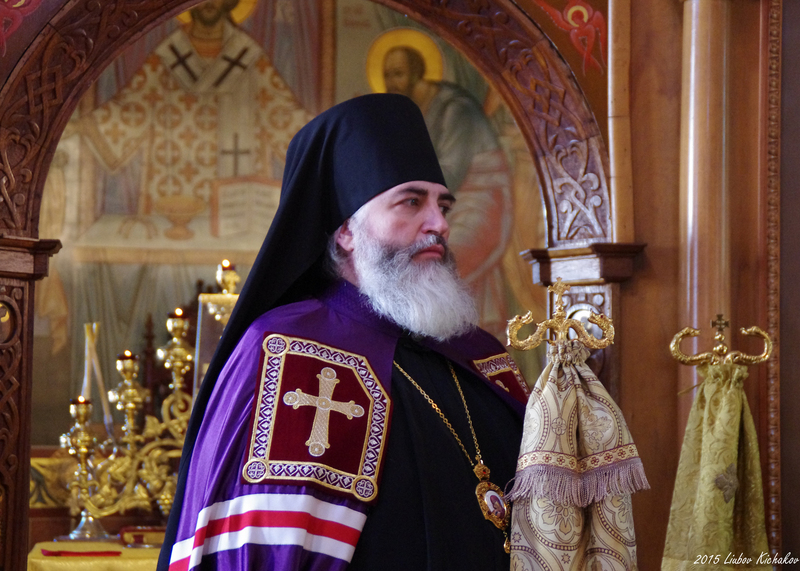 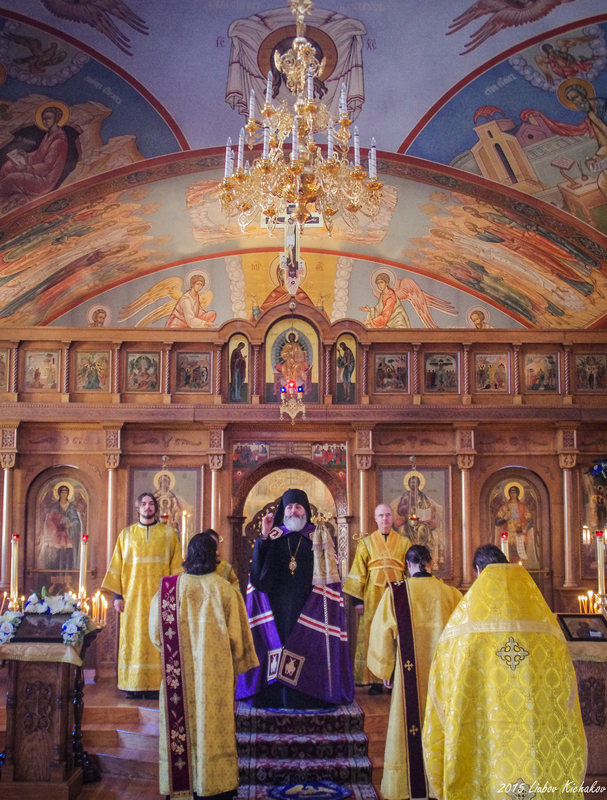 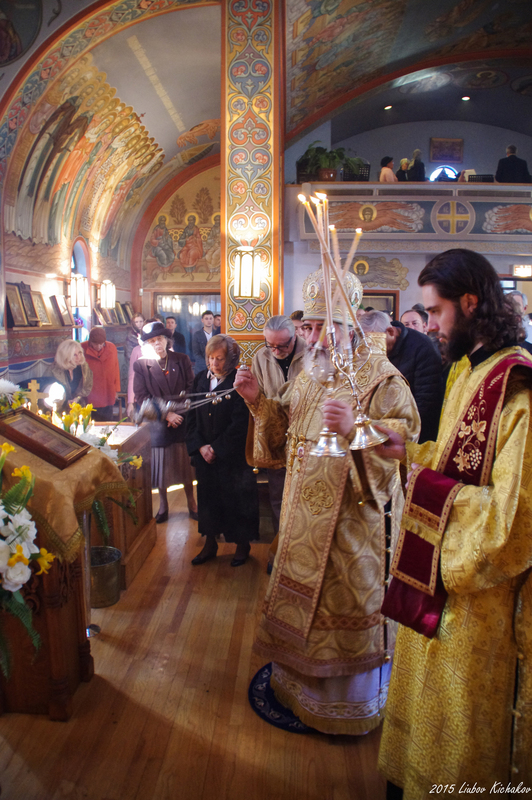 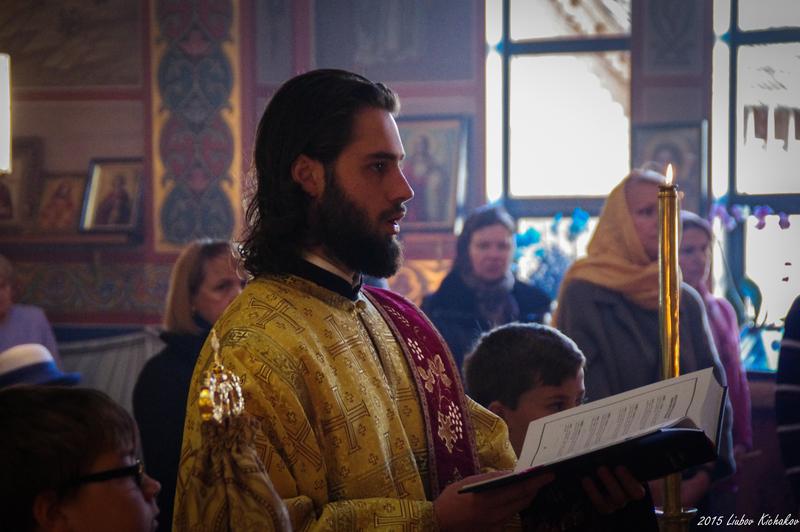 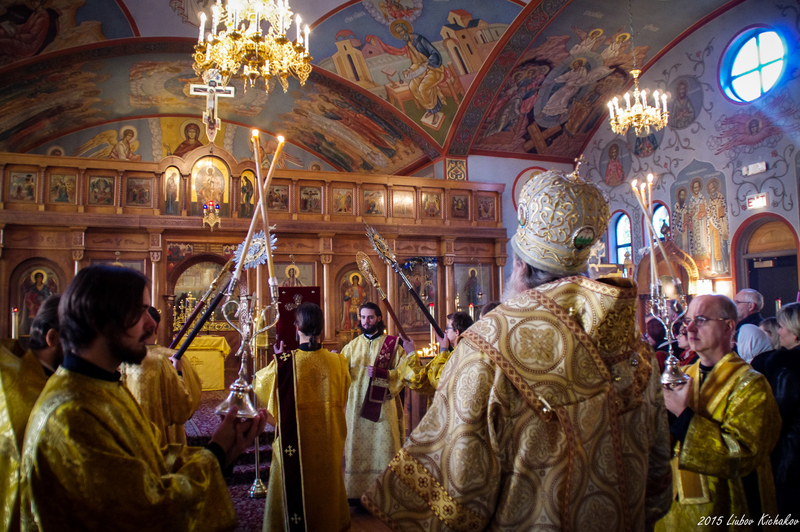 On the weekend of October 17-18, 2015, the Divine services at the diocesan cathedral were officiated by His Grace, Bishop Mstislav of Tikhvin and the cathedral clergy, Rev. 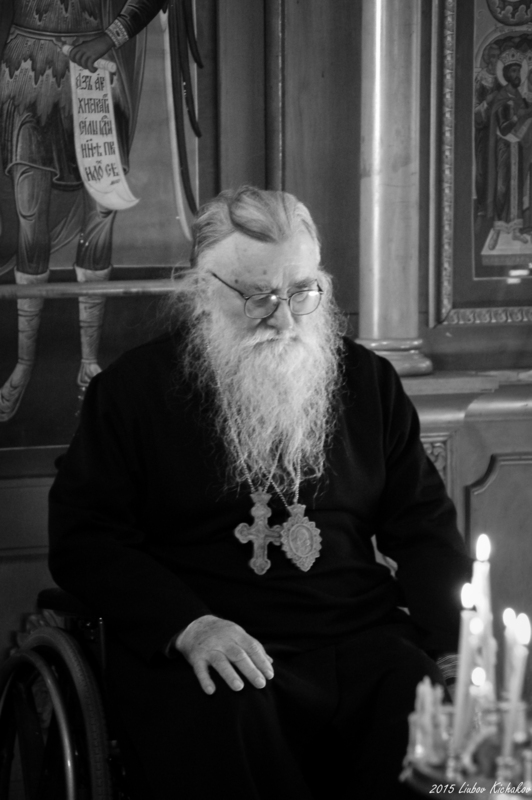 Valery Vovkovski, Rev. 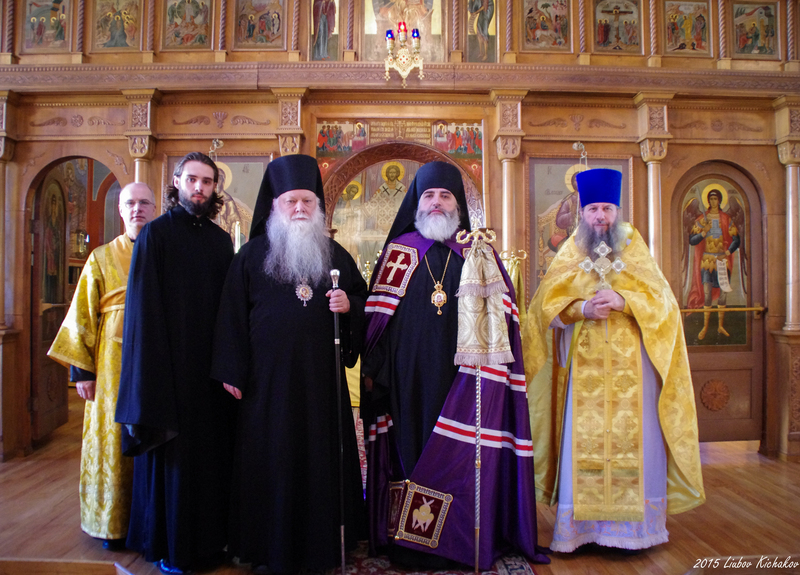 Leontiy Naidzions, Deacon Nicholas Lochmatow, as well as clergy from St. George Cathedral (OCA) Deacon Alexander Koranda. 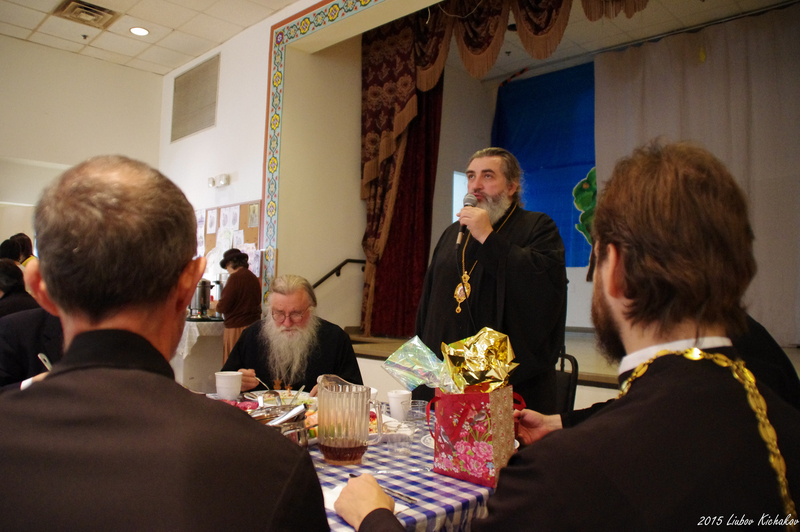 Following the Liturgy, the clergy and visitors were invited for lunch in the Catherdal hall. 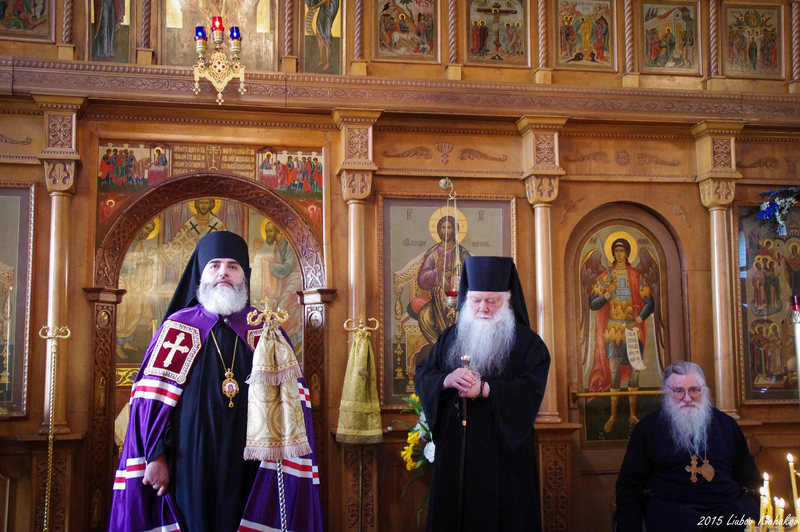 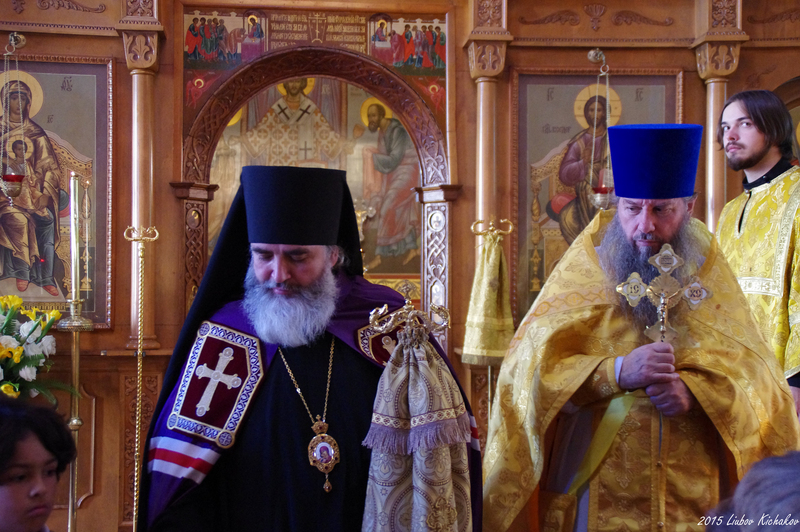 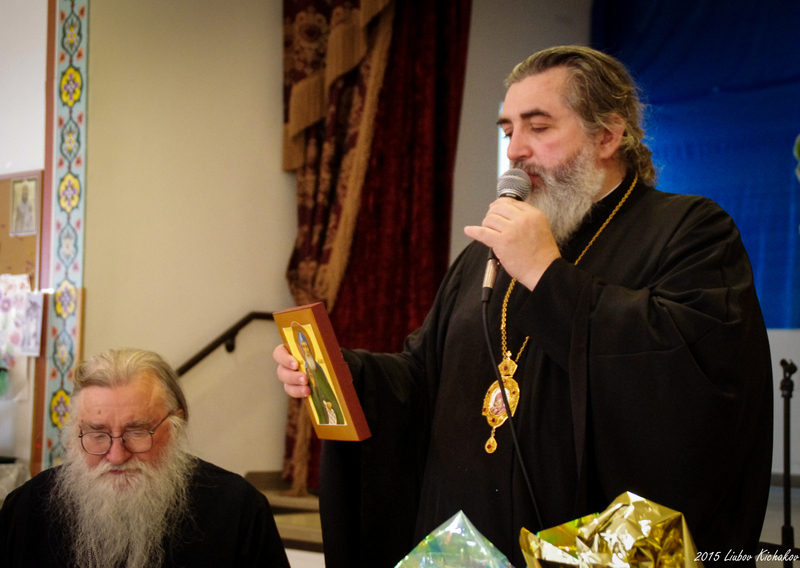 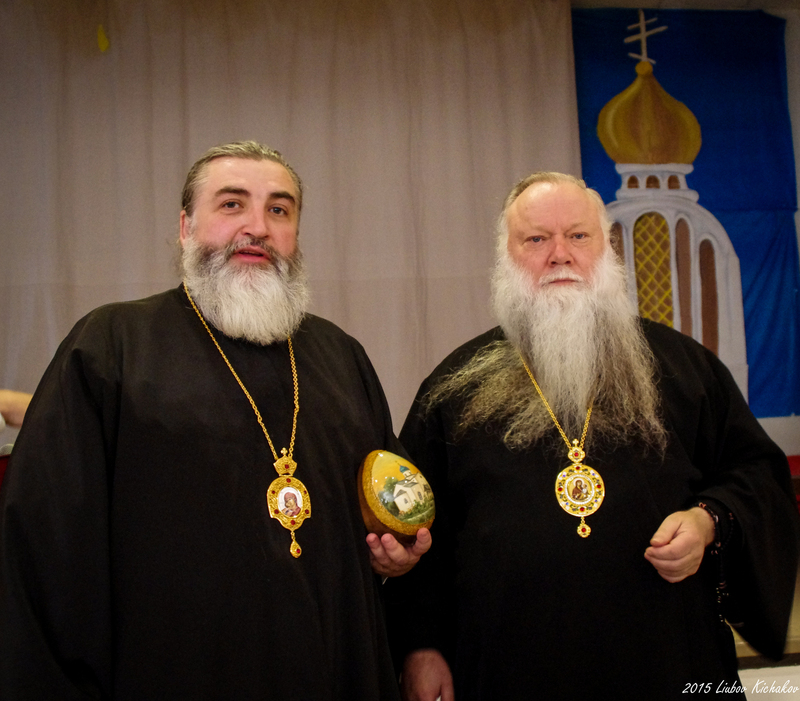 His Grace, Bishop Peter and His Grace, Bishop Mstislav exchanged customary gifts and spoke highly of each other's Archpastoral roles. 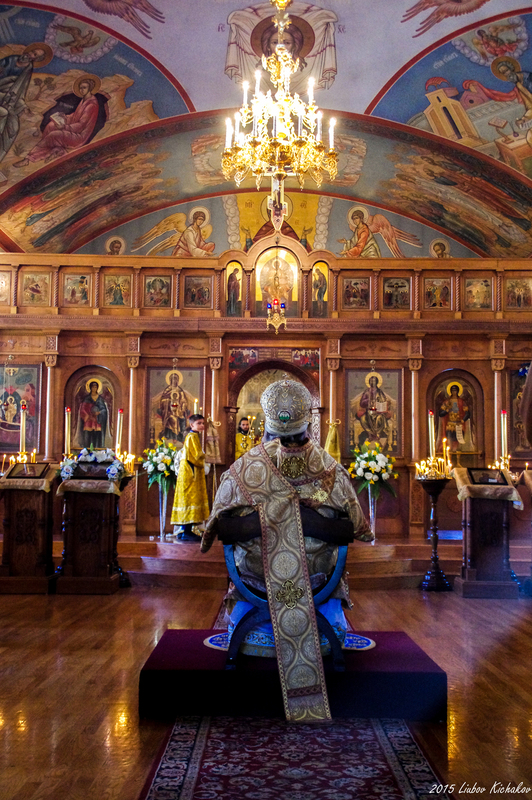 Bishop Mstislav regarded Chicago as a fine city and praised the beauty of the Cathedral, pointing out several times of the sacrifices and diligent work of Archbishop Alypy's iconography. 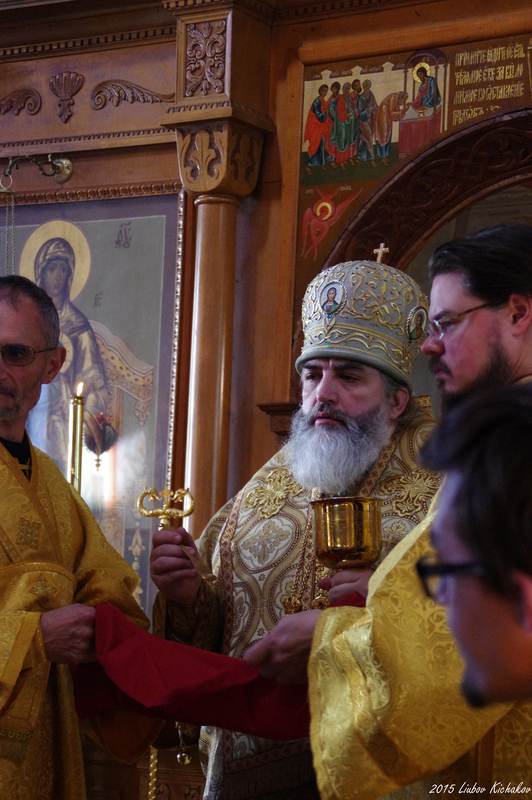 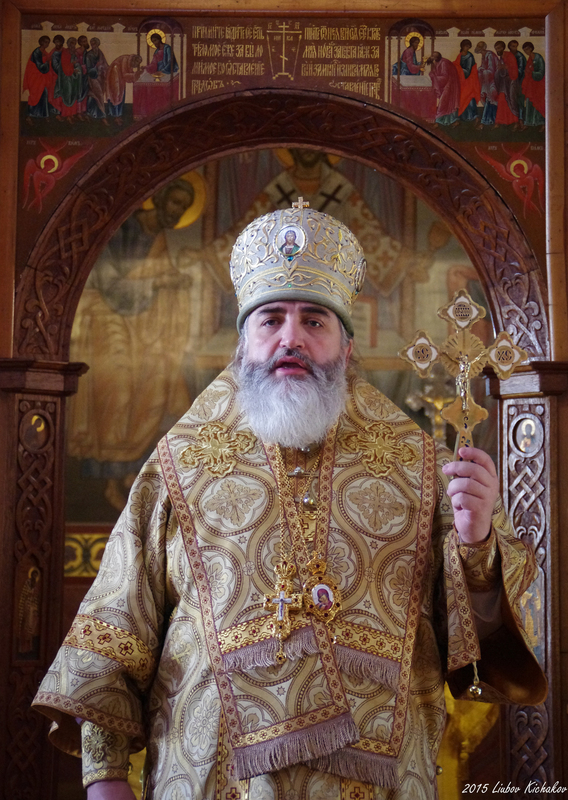 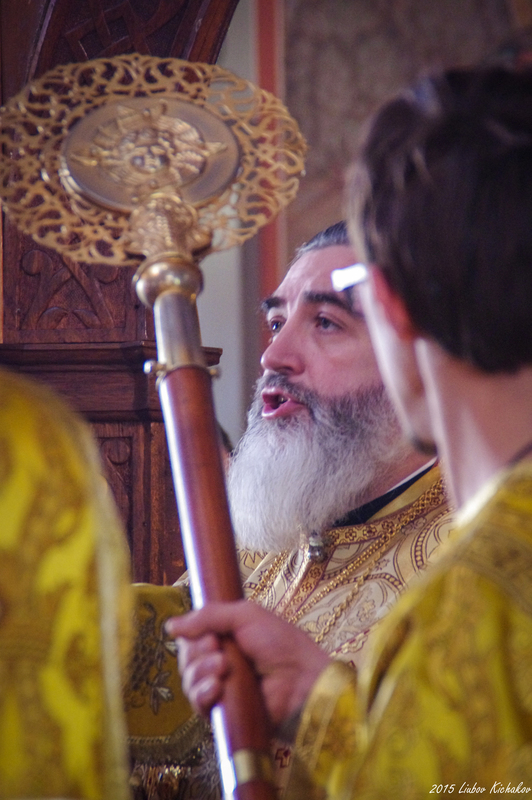 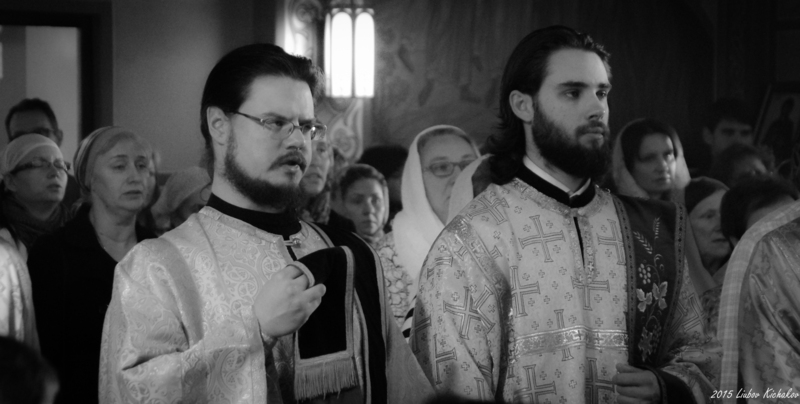 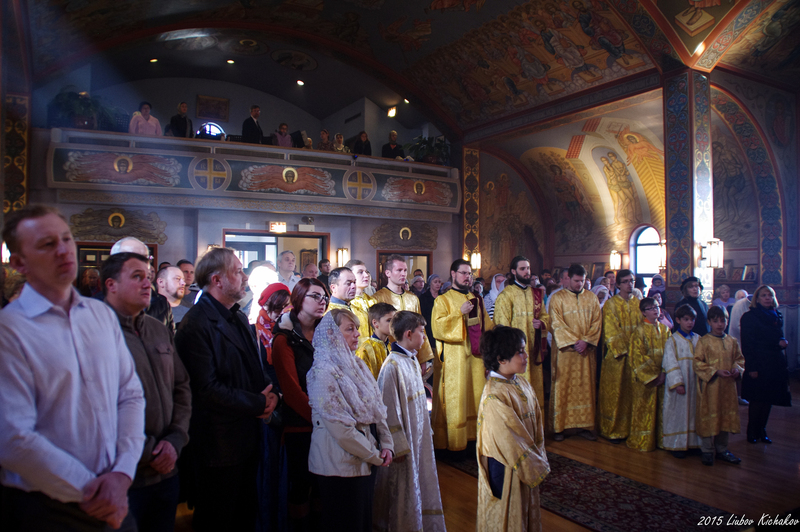 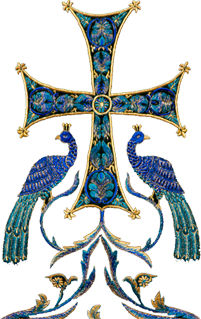 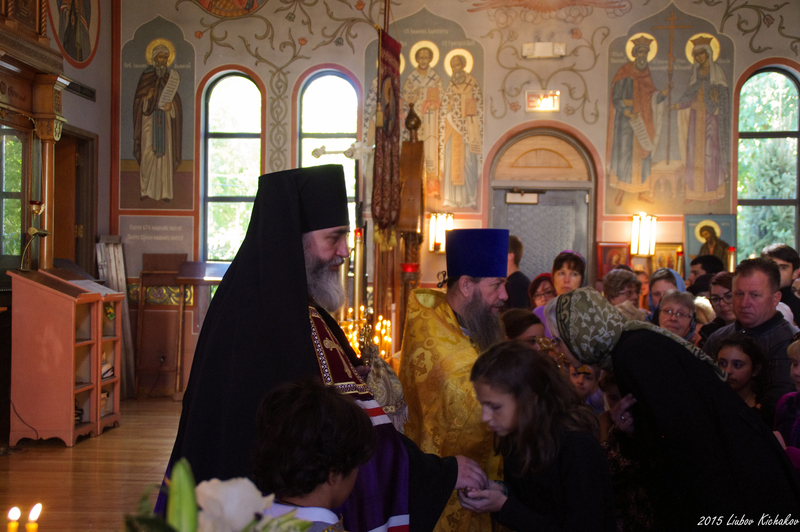 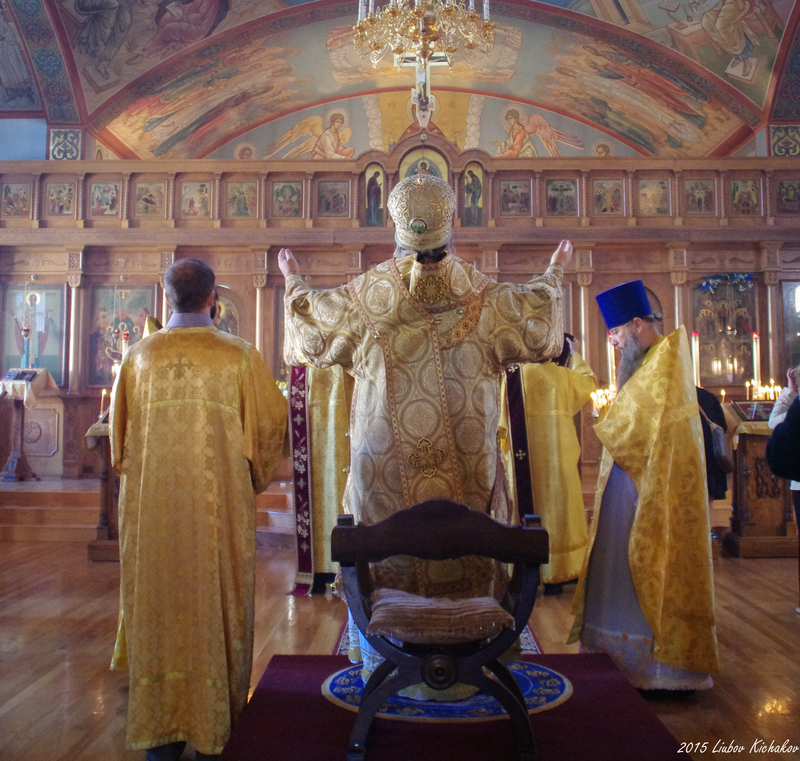 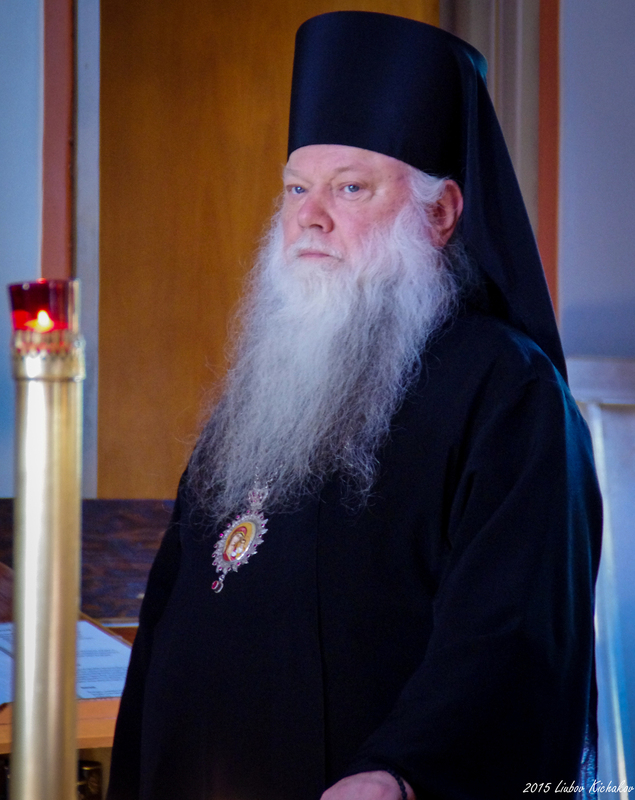 His Grace, Bishop Mstislav also pointed out that Chicago's Lake Michigan is of the same azure-blue color as associated with the Feast of the Protection of the Mother of God, the Cathedral Patronal Feast, and the Wonderworking Tikhvin Icon of the Mother of God which coincidentally was guarded by Archpriest Sergei Garklavs, Dean Emeritus of Holy Trinity Cathedral (OCA) in Chicago for 50 years before it was returned to its original home in Tikhvin, northern Russia.